When then-candidate Donald Trump released his first two lists of potential Supreme Court nominees in May and September of 2016, the omission of Judge Brett Kavanaugh of the U.S. Court of Appeals for the District of Columbia Circuit drew comment. Kavanaugh had served for 10 years on a bench known as a springboard to the Supreme Court. With his impeccable academic credentials and sterling reputation in conservative political and legal circles, he seemed like an obvious choice. And his name was eventually added to the roster of possible nominees, on November 17, 2017. No one else on the president’s current list can rival Kavanaugh for Washington credentials. He was even born in Washington, where his mother was a public-school teacher, on February 12, 1965. Martha Kavanaugh went on to become a prosecutor and later state judge in Maryland, where Kavanaugh was raised and where, like Justice Neil Gorsuch, he attended Georgetown Preparatory School. After graduating from Yale College in 1987 and Yale Law School in 1990, Kavanaugh spent two years as a law clerk, for Judge Walter Stapleton of the U.S. Court of Appeals for the 3rd Circuit and Judge Alex Kozinski of the U.S. Court of Appeals for the 9th Circuit. He followed a one-year fellowship in the office of U.S. Solicitor General Kenneth Starr with a clerkship for Justice Anthony Kennedy during October Term 1993. Kavanaugh went on to join Starr at the Office of the Independent Counsel, where Kavanaugh led the investigation into the death of Vince Foster, an aide to President Bill Clinton, and helped write the 1998 Starr Report to Congress, which outlined 11 grounds for Clinton’s impeachment. Kavanaugh was later a partner at the law firm Kirkland & Ellis, where he specialized in appellate law. He moved to the White House after President George W. Bush was elected and worked in the West Wing for five years, first as a counsel to the president and then as staff secretary to the president. Bush first nominated Kavanaugh to the D.C. Circuit on July 25, 2003, but the nomination was stalled in the Senate for nearly three years, with Democratic senators charging that Kavanaugh’s government track record revealed him to be overly partisan. During Kavanaugh’s second confirmation hearing, in May 2006, Sen. Chuck Schumer (D-N.Y.) observed, “From the notorious Starr report, to the Florida recount, to the President’s secrecy and privilege claims, to post-9/11 legislative battles including the Victims Compensation Fund, to ideological judicial nomination fights, if there has been a partisan political fight that needed a very bright legal foot soldier in the last decade, Brett Kavanaugh was probably there.” Despite similar objections from other Democratic senators, Kavanaugh was eventually confirmed by the Senate on May 26, 2006, by a vote of 57-36. Perhaps because of his years of executive-branch experience, Kavanaugh generally brings a pragmatic approach to judging, although his judicial philosophy is conservative, and he has applied principles of textualism and originalism espoused by the late Justice Antonin Scalia. Adam Feldman of Empirical SCOTUS has calculated that as of the end of 2017, Kavanaugh had written opinions in 286 cases. Because the D.C. Circuit’s caseload is weighted toward review of administrative agency decisions, Kavanaugh has written most often in administrative law cases – 122, by Feldman’s count. Notable among these are a string of cases involving rulings by the Environmental Protection Agency. Kavanaugh has largely, but not always, attempted to rein in Obama-era EPA regulations, on several occasions in dissents from panel rulings or denials of rehearing on banc in cases that were later reversed in full or in part by the Supreme Court. In Greenwire, Amanda Reilly quotes a law professor’s assertion that Kavanaugh “has a ‘pretty good track record’ of writing dissents that signaled to Scalia that the high court should hear a case.” For example, in 2014, in White Stallion Energy Center v EPA, Kavanaugh dissented in part from a ruling that upheld the EPA’s decision not to consider cost when determining whether it is “appropriate and necessary” to regulate power plants. He argued that “as a matter of common sense, common parlance, and common practice, determining whether it is ‘appropriate’ to regulate requires consideration of costs.” Reversing the D.C. Circuit’s decision, the Supreme Court, in a 5-4 opinion by Scalia that quoted from Kavanaugh’s dissent, held that the EPA’s refusal to consider costs was unreasonable. Similarly, in Coalition for Responsible Regulation v. EPA, in 2012, Kavanaugh dissented from denial of rehearing en banc in a case involving regulation of greenhouse-gas emissions. Kavanaugh resisted the agency’s attempt to adapt the language of a 1970 statute, the Clean Air Act, to permit regulation of an environmental problem that Congress did not anticipate when it enacted the statute, concluding that the EPA had “exceeded its statutory authority” when it issued the greenhouse-gas regulations. He argued that accepting the EPA’s approach would allow agencies to “adopt absurd or otherwise unreasonable interpretations of statutory provisions and then edit other statutory provisions to mitigate the unreasonableness,” and warned that “undue deference or abdication to an agency carries its own systemic costs.” The Supreme Court, in another Scalia opinion, relied to some extent on Kavanaugh’s reasoning, and quoted from his dissent, in holding that the Clean Air Act did not authorize the EPA to require stationary sources to obtain permits solely based on greenhouse-gas emissions. On at least one occasion, a Kavanaugh decision invalidating EPA action did not fare as well in the Supreme Court. In EME Homer City Generation, LP v. Environmental Protection Agency (2012), Kavanaugh wrote for a panel that rejected an EPA rule intended to curb harmful emissions that cross state lines, concluding that the agency had “transgressed statutory boundaries” when it allocated emission reductions among upwind states. 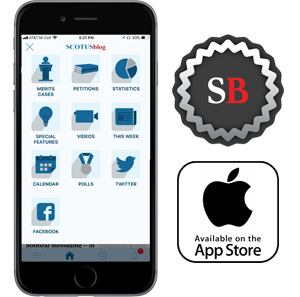 The Supreme Court later reversed, in a 6-2 decision by Justice Ruth Bader Ginsburg, with Justice Samuel Alito recused. Kavanaugh has not always ruled against the EPA, however. In National Mining Association v. McCarthy, in 2014, he wrote a panel decision upholding an EPA program aimed at addressing the environmental effects on waterways of mountaintop-removal coal mining. And in 2010, in American Trucking Associations v. EPA, he wrote an opinion upholding the EPA’s review of California’s limits on emissions from in-use non-road engines. On occasion, a Kavanaugh opinion siding with the EPA’s opponents has been a win for environmental interests, as in Natural Resources Defense Council v. EPA, in 2014, in which he wrote an opinion that vacated an EPA rule establishing an affirmative defense for cement-kiln operators sued for exceeding emission limits. Kavanaugh is clearly inclined to resist the expansion of administrative-agency authority, but he has tended to approach administrative law issues on a case-by-case basis, rather than by mounting a frontal attack on the doctrine of deference to agency interpretations of ambiguous statutes famously set forth in Chevron v. Natural Resources Defense Council. Yet a recent case suggests that Kavanaugh is developing his own method of empowering courts to hold the line against the administrative state, through what Kavanaugh refers to as the “major rules doctrine.” Chief Justice John Roberts notably relied on a similar approach in 2015, in King v. Burwell, a challenge to the Affordable Care Act’s health-care-subsidy system. Roberts wrote for a 6-3 majority that whether the ACA covered subsidies bought on federal exchanges was “a question of deep ‘economic and political significance’ that is central to this statutory scheme; had Congress wished to assign that question to an agency, it surely would have done so expressly.” In the absence of an express indication that Congress had delegated such a major question to the implementing agency, Roberts went on, it was the role of the court, not the agency, to interpret the statute. In 2017, in United States Telecom Association v. Federal Communications Commission, Kavanaugh outlined his view of this doctrine in a dissent from denial of rehearing en banc. The panel in the case had upheld the Obama administration’s “net neutrality” rules against a challenge brought by telecommunications and other internet providers, deferring under Chevron to the FCC’s interpretation of the statute. Kavanaugh’s major-rules doctrine goes even further than the “major-questions doctrine” described by Roberts in King v. Burwell. To Kavanaugh, if Congress has not spoken on a matter of deep economic and political significance, which it had not in this instance, a regulation challenged under the relevant statute is presumed to be invalid. Kavanaugh took a conservative position, but did not go as far as one of his colleagues, in a recent case combining the hot-button issues of abortion and immigration. In Garza v. Hargan, a pregnant undocumented teen in immigration custody wanted to obtain an abortion, but was prevented by her government custodians from doing so. Kavanaugh wrote a panel decision vacating a district-court order that required the government to allow the teen to leave the detention facility to obtain the abortion; the panel imposed an additional waiting period to give the government time to obtain a sponsor. The en banc court reversed. Kavanaugh dissented, arguing that the en banc ruling was “ultimately based on a constitutional principle as novel as it is wrong: a new right for unlawful immigrant minors in U.S. Government detention to obtain immediate abortion on demand.” In a separate dissent, Judge Karen LeCraft Henderson maintained that as a noncitizen, the teen had no due-process right to the abortion. Kavanaugh, in contrast, noted that the government had conceded the teen’s right to an abortion. He went on to assert that delaying the procedure while the government sought a sponsor was permissible under the Supreme Court’s precedent because it did not impose an undue burden on that right. At the government’s request, the Supreme Court vacated the D.C. Circuit’s decision this month in a per curiam decision in Azar v. Garza, ruling that the case became moot through no fault of the government’s when the teen obtained the abortion. Another controversial issue provoked a similar response from Kavanaugh. In 2015, in Priests for Life v. HHS, Kavanaugh dissented from denial of rehearing en banc in a Religious Freedom Restoration Act challenge to the process for accommodating religious objections to the ACA’s contraceptive mandate, which permitted religious nonprofits to self-certify their eligibility for an exemption from the birth-control benefit by notifying either their insurance company or the federal government of their faith-based objection to contraceptive coverage. The panel decision had upheld the accommodation, stating that a court is not required “simply to accept whatever beliefs a RFRA plaintiff avows—even erroneous beliefs about what a challenged regulation actually requires.” Unlike other dissenters, who maintained that there is no compelling government interest in facilitating access to contraception, Kavanaugh would have ruled that a compelling interest does exist, but the government can achieve it in other ways. 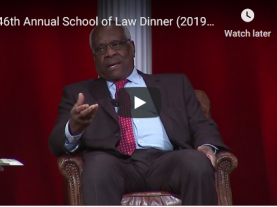 In a group of cases consolidated as Zubik v. Burwell, the Supreme Court in 2016, when it was short-handed after the death of Scalia, remanded the case for the parties to work towards a compromise accommodation. Kavanaugh has written several notable rulings involving separation-of-powers concerns, many directed at reining in the authority of independent agencies. Most recently, in PHH Corp. v. Consumer Financial Protection Bureau in 2018, Kavanaugh dissented from an en banc ruling upholding the constitutionality of the CFPB’s structure. The bureau is headed by a single director who can be removed only for cause. The challengers had argued that this structure violates Article II of the Constitution because it infringes on the executive power of the president. Kavanaugh agreed. “Because of their massive power and the absence of Presidential supervision and direction,” Kavanaugh wrote, “independent agencies pose a significant threat to individual liberty and to the constitutional system of separation of powers and checks and balances.” He would have struck the for-cause provision from the statute that created the CFPB, giving the president the power to remove the director at will. Notably, in a footnote, Kavanaugh questioned Humphrey’s Executor v. United States, the case that originally upheld the constitutionality of independent agencies, hinting that he would be open to overruling it. Ten years earlier, in Free Enterprise Fund v. Public Company Accounting and Oversight Board (2008), Kavanaugh dissented on similar grounds, citing “plain text and original understanding,” from a panel opinion holding that the structure of that board, whose members were removable only for cause by the Securities and Exchange Commission, whose members are in turn removable by the president only for cause, did not violate Article II’s appointments clause or the separation of powers. The Supreme Court later reversed the panel’s ruling on the separation-of-powers issue and excised the for-cause provision. 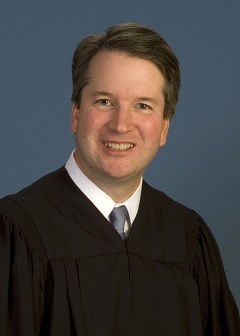 Kavanaugh also expressed an expansive view of the government’s power to detain enemy combatants – and a limited view of the court’s authority to curtail that power — in a series of cases that followed the Supreme Court’s 2008 decision in Boumediene v. Bush, which held that enemy combatants detained at Guantanamo Bay are entitled to habeas corpus protections and can challenge their detention in federal court. After Boumediene, according to a 2011 article by Stephen Vladeck, commentators “have accused the D.C. Circuit in general—and some of its judges in particular – of actively subverting Boumediene by adopting holdings and reaching results that have both the intent and the effect of vitiating the … decision.” Prominent among those judges is Kavanaugh. For example, in al-Bihani v. Obama, in 2010, Kavanaugh voted with a panel that held that “preponderance of the evidence” is the appropriate burden of proof for the government to meet in Guantanamo detention cases, and that hearsay evidence can properly be admissible in these cases. The panel also held in al-Bihani that the Authorization for the Use of Military Force under which the defendant was detained as an enemy combatant should not be interpreted in light of the laws of war; Kavanaugh reiterated this position in a concurrence to the denial of rehearing en banc, stating that [“i]nternational-law norms that have not been incorporated into domestic U.S. law by the political branches are not judicially enforceable limits on the President’s authority under the AUMF.” Other cases in which Kavanaugh voted to reject the claims of detainees include Uthman v. Obama (2011), Omar v. McHugh (2011), and Kyemba v. Obama (2009). In labor and employment law cases more generally, Kavanaugh’s rulings have tended to favor employers. In 2016, in Verizon New England v. NLRB, Kavanaugh held that the NLRB had improperly overturned an arbitration decision when it found that a “union’s waiver of its members’ right to picket did not waive their right to visibly display pro-union signs in cars on Verizon property.” In National Association of Federal Employees v. Vilsack, in 2012, he dissented from an opinion holding that a random drug-testing program for government employees who work in residential Job Corps centers required a showing of individualized suspicion under the Fourth Amendment. Partial dissents from panel rulings upholding NLRB findings of unfair labor practices or discriminatory hiring include Midwest Division MMC v. NLRB (2017) and NLRB v. CNN America (2017). Kavanaugh participates in various volunteer activities, including serving meals at Catholic Charities and tutoring at a local elementary school, and he has run the Boston Marathon twice. He is a parishioner at Blessed Sacrament Catholic Church. Kavanaugh and his wife Ashley – who served as the personal secretary to George W. Bush while he was governor of Texas and then president – have two daughters. Andrew Hamm contributed to this post, identifying, reviewing and analyzing the cases summarized above.